Growing up, Andres Garcia’s parents taught him the value of a well-rounded education. 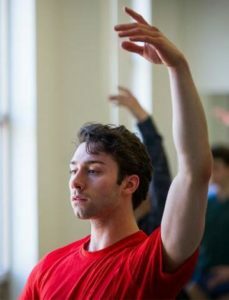 It’s a lesson he carried with him from Texas to Seattle to Boston, where he is now pursuing his Bachelor of Science in Liberal Studies and a career in dance, through a partnership between Northeastern and the Boston Ballet. Garcia shares what inspired him to earn his bachelor’s degree and how he’s been able to apply what he’s learned to his life on stage. I grew up in Austin, Texas, where I was the only child of parents who gave me a lot of freedom to do whatever I wanted to express myself. My dad is originally from Colombia and didn’t attend college, and my mom had graduated from the University of Texas at Austin, so they both instilled in me the importance of a well-rounded education. I was kind of a renaissance kid, who did a lot of activities—singing, dancing, theater, art camp, gymnastics, and soccer, which my dad coached. What was the origin of your interest in dance? I took my first creative movement class at the age of four and was instantly mesmerized. When I got into my first dance class, I loved it even more because of the structure it offered and the discipline it required. I started out with Ballet Austin around the age of five, and stayed with them for 11 years on scholarship. Over time, other activities fell by the wayside as the dance training ramped up in intensity and became a daily commitment. What was your educational background before coming to Northeastern? By the time I was a student in a performing arts high school, I knew I wanted to pursue a professional dance career. I made the decision to finish my high school diploma online and graduate at the age of 16. I had always been a good student and this motivated me even more. From there, I moved to Seattle to enter the professional division of Pacific Northwest Ballet for two years. My dad moved out there to live with me for the first year and I was on my own in my second year. How did you end up with the Boston Ballet? I started auditioning for professional companies at the age of 18. Around that time, I got invited to participate in a Boston Ballet summer dance program. Unbeknownst to me, it turned out to be a five-week-long audition. Faculty and the artistic director took note of me and, at the end of the summer, I received an offer to join Boston Ballet II, Boston Ballet’s second company. I eventually got promoted to the full company and am currently in my fifth year with the Boston Ballet. What led you to choose Northeastern for your undergraduate degree? 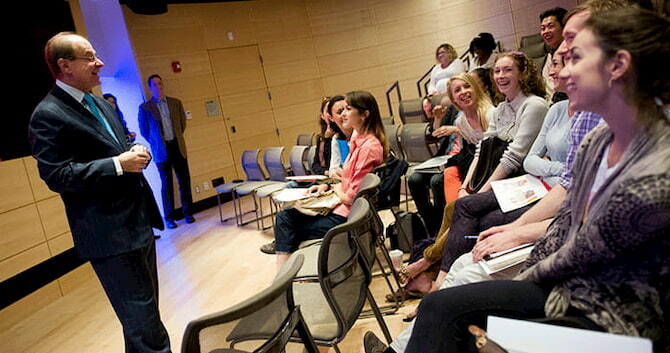 I was so excited when I learned of the partnership between Boston Ballet and Northeastern. It offered a range of degree choices and online flexibility that made it the perfect way to balance my education and a very strenuous career. I took my first class, a history course, in the second half of my first year and loved it. What have you found most appealing about your degree program? I love that it’s tailored to my personal interests and career goals. I chose Liberal Studies because it encompasses a wide portfolio of topics, skills, and opportunities that I hope to apply in arts management one day—everything from gender studies to stress management to business. How have you applied the education to ballet and vice versa? I am one of two representatives from the Boston Ballet in the American Guild of Musical Artists. Working on union issues has given me the opportunity to practice in a real-world way the communication and negotiation skills I’ve acquired in the classroom. I also often incorporate ballet into my discussion board posts, reflective essays, and projects. It feels like a seamless experience of developing myself as an intellectual, an artist, and a person. What lies ahead in your future? My dream is to continue dancing into my late 30s or early 40s. It’s always hard to predict, however, how the physical body will hold up no matter how healthy and strong the mental concentration and dedication. I would love to become a principal or soloist and get to perform in featured roles. There are many contemporary roles from choreographers from Balanchine to William Forsyth that I would relish the chance to perform. When my performing days are behind me, I envision myself continuing to work in the arts, in a teaching or management role, or perhaps a combination. The beauty of ballet is that there are always new skills to learn and new ways to improve. To learn more about Northeastern’s partnership with the Boston Ballet, visit our Boston Ballet page.